We may still have a couple weeks to wait before Tim Cook takes the stage to introduce the iPhone 5, but as we edge closer to the big day, Apple’s surprises are quickly being spoiled. We’ve already seen almost every component that will end up inside the device — including its display and back plate. And so it’s no surprise that we’re now seeing its packaging. 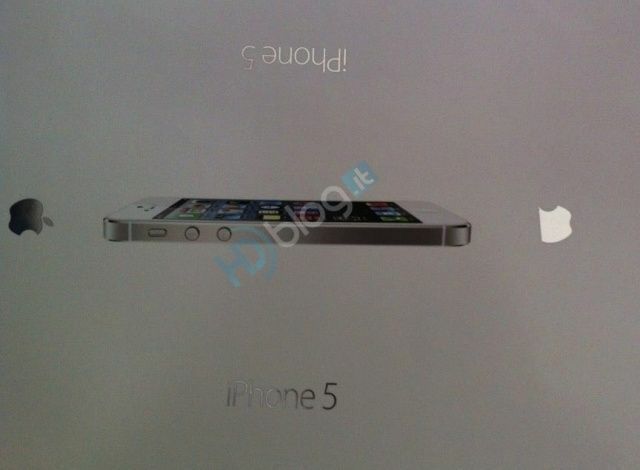 But unlike the other iPhone 5 leaks, we have a feeling this one’s nothing more than a good fake. 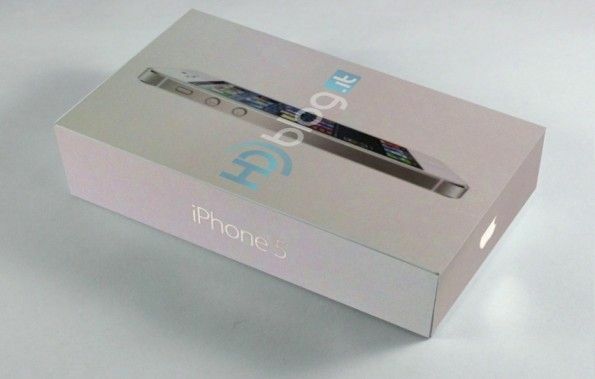 In fact, there are a number of reasons why this isn’t the iPhone 5’s new packaging at all. Here is the new iPhone 5 long! PS. At the home of a friend who works in the production of packaging. Apple.HDblog has taken the image and used it to make a mockup of what the box might look like (below). It also puts forward a number of reasons why this image may be genuine iPhone packaging, like the way in which the device is displayed on the front matches that of the new iPad packaging. However, we’re a little more skeptical. For a start, we’re expecting Apple to call the next iPhone the “new iPhone” — like the new iPad — and not the “iPhone 5.” Therefore, it won’t say “iPhone 5” on the box. And while we’re on the subject of that text, it’s nowhere near as big or as bold as the iPhone logos printed on previous iPhone boxes. 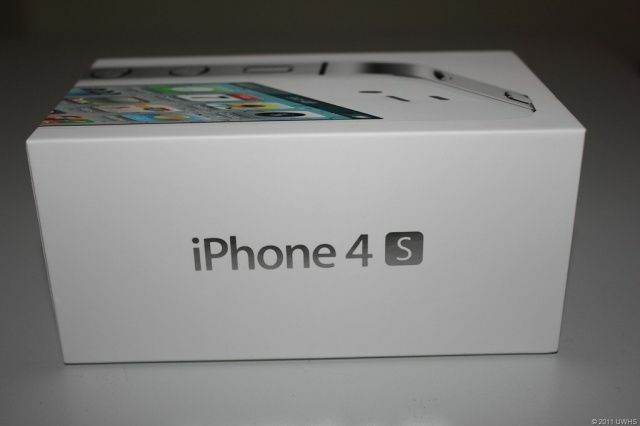 Take a look at the iPhone 4S box below. The font is a great deal larger, and it’s bold. 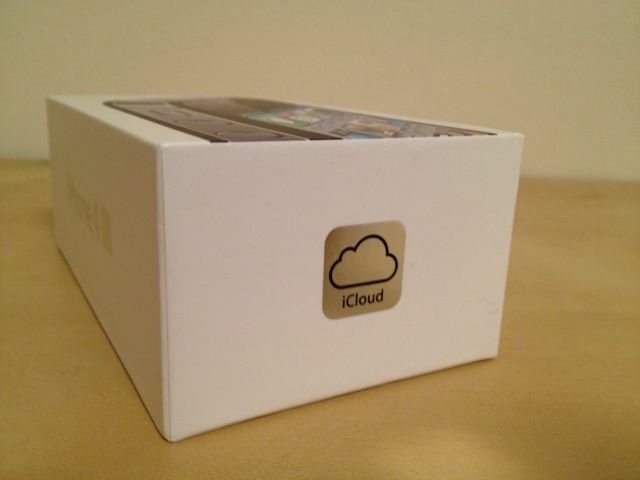 Furthermore, every iPhone and iPad box since the introduction of iCloud has an Apple logo at one end, and an iCloud logo at the other. This box, however, has two Apple logos — one at either end — like iPhone boxes of old. This is certainly a good representation of what the new iPhone’s box may look like, but we don’t think it’s anything more than that. Why it was removed so quickly after being published on Weibo is a mystery, but Apple’s own packing will almost certainly look a little different.